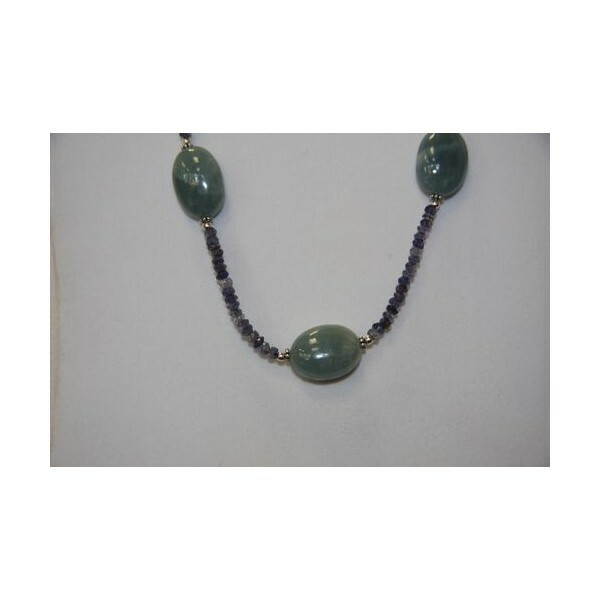 An elegant necklace made of Aquamarine & Iolite gem stones in sterling silver. 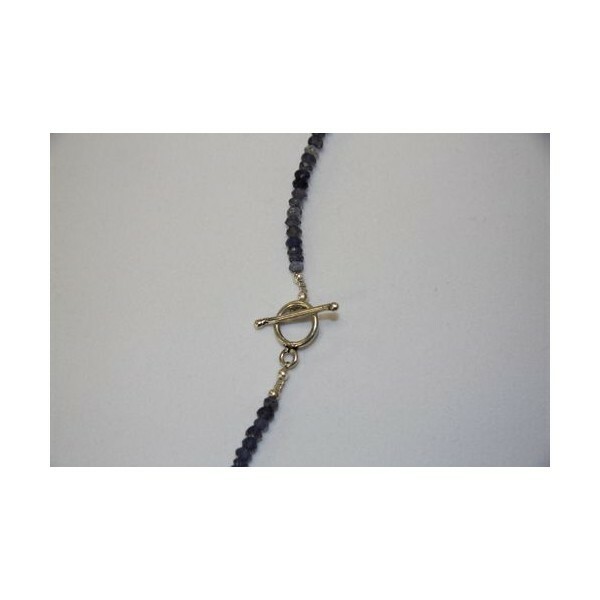 An elegant necklace made of Aquamarine & Iolite gem stones in sterling silver. 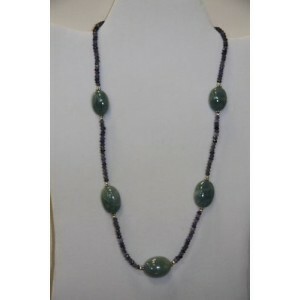 Aquamarine beads are in oval shape and knot with Silver beads, Iolite beads are in sound shape. 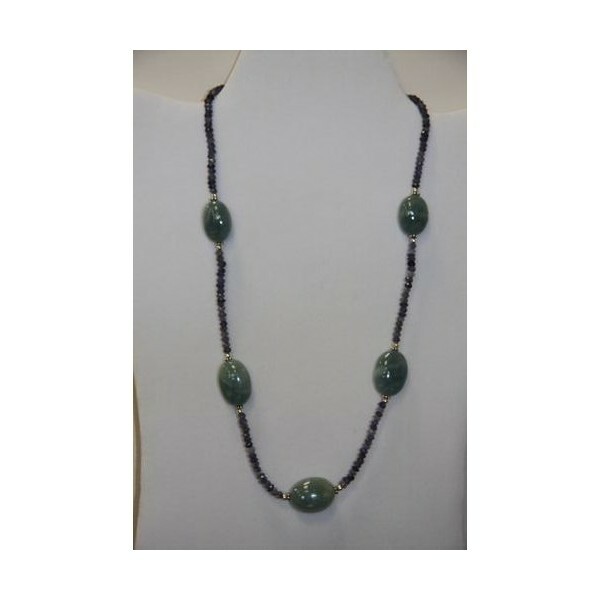 Combination of Aqua Marine and dark brown beads looks so beautiful. 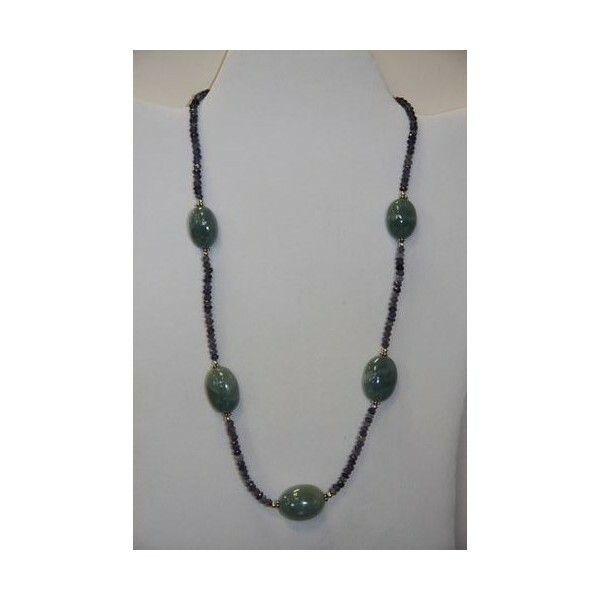 This necklace is handmade. Total weight is 37 Grams. Length is 20”.